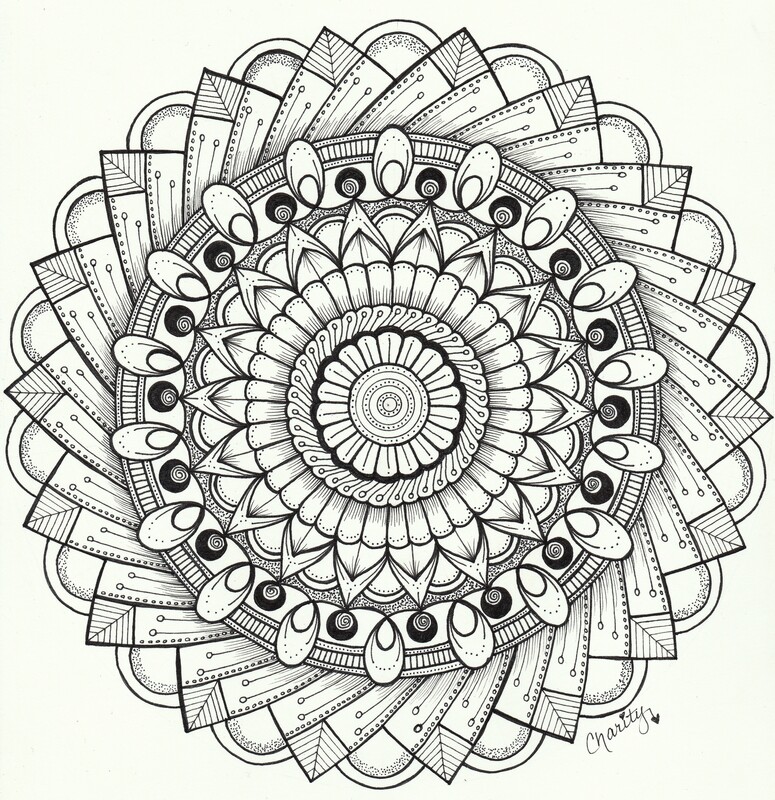 I had completed two separate mandalas this weekend. Although I had a lot going on, somehow I still finished them. Each one took more than 5 hours to complete. I used Staedtler Pigment liners to complete them. As you can tell, this first one took the most time because there are a LOT of dots. But I really like the way that it came out and how the dots helped with the contrast. This second one was more free-handed. It’s amazing how I can work on two mandalas within hours of each other and they look so different.